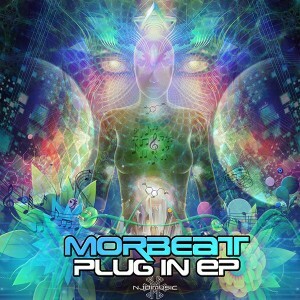 19 year-old producer Morbeat brings you his debut, Plug In, released on NJOI MUSIC. With a broad range of influences, this release fluently bridges from dark to playful to mysterious in a swirling pattern of trance-inducing melody and rhythm. Having grown up amongst the lush rain forests and beaches of the mid north coast of New South Wales, Australia, Morgan feels this setting has had a profound effect on his music. Plug your consciousness in and let yourself drift away in this unique space of sound! All tracks written and produced by Morgan Brooke, with some collaboration from Jesse Sugden (Ender). Artwork by Morgan Brooke design. MP3 Download | FLAC Download | WAV Download · Download count: 8,046. The bass has something from a roller, that rolls through the brain and body and just rocks plain and simply. It also reminds me of Uncle Jack’s “Intoxicated with desire” EP, therefore I agree that there is some sort of australian style developing. Good stuff, I live in Phoenix Arizona! good to hear the phoenix lights shot out! I see orbs here all the time!